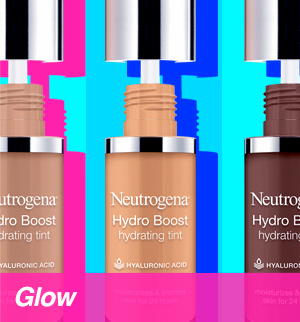 Shop our hydrating makeup with hyaluronic acid for the ultimate #glowup. Fresh-faced glow. 24 hour hydration. Achieve flawless coverage and a dewy, natural-looking finish. This lightweight, hydrating foundation is packed with skin-quenching hyaluronic acid for a glow that lasts all day. See instantly longer, fuller-looking lashes. This moisture-intense mascara is infused with vitamin E, keratin, and hyaluronic acid to deliver shiny, supple lashes coat after coat. Bold pigment, shiny gloss, and conditioning balm...all-in-one! 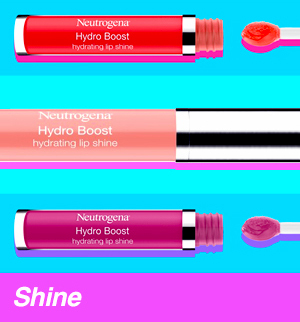 Our 14 gorgeous shades will pamper your lips with the hydrating power of hyaluronic acid. Creamy, blendable, and buildable. 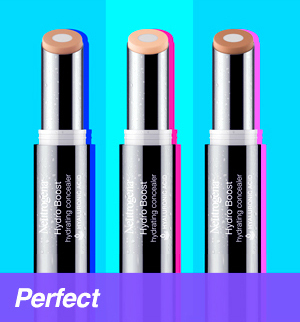 This powerhouse concealer flawlessly masks imperfections while quenching skin with its hydrating core. Locks in moisture for all-day hydration and smoother, softer-looking lips. Use alone for subtle shine or as primer before lip color. 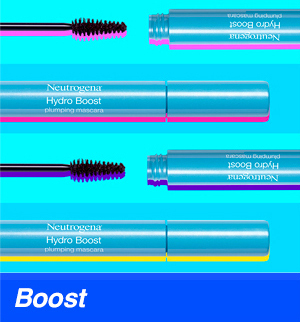 The Hydro Boost Skin Care Line contains hyaluronic acid and boosts hydration to leave you with smoother, more supple skin. Dry skin? Oily skin? No worries! We’ve got products for every skin type. From classic and sophisticated to red carpet-ready, Neutrogena® Makeup has a shade for everyone. You’ve got your makeup on, now take it off with our Double Cleansing Method catered to your skin type.